Japan's Nippon Steel & Sumitomo Metal Corp. (NSSMC) has perfected the manufacture and distribution of steel railroad rails 150 meters (492 ft) long. Casting rails well over a football field in length is one thing; shipping them to distant customers is another but NSSMC has got that angle covered too. When it comes to railroad rails, size DOES matter... at least, length does. Those welded joints are the rail's weakest point, for one. The joints also create vibrations and noise: “clickety-clack” sounds nice when you read it; not when you ride it. All in all, an ideal rail would be a one-piece job stretching the full length of the line but since that's not possible, manufacturers have historically striven to cast the longest rails possible. Europe's ArcelorMittal S.A. was the previous rail-length champion at 120 meters (394 ft). 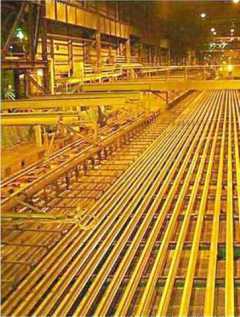 Although NSSMC had perfected the casting of 150-meter-long rails, they were typically cut into 25- to 50-meter-long sections at the company's Yawata Works plant for ease of transport. Upon arrival at their destination, the rails would be welded back together. NSSMC was unsatisfied with this situation (as were their customers) so changes were made both at the plant in Kita-Kyushu and with the company's partners in freight transport. 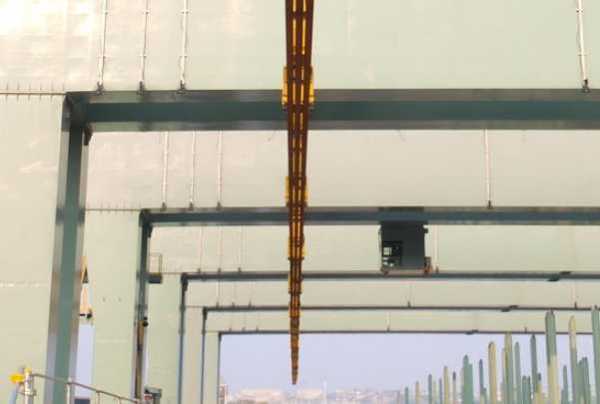 The former issue was resolved by designing and installing a special crane able to manipulate and move the finished rails. The latter involved fastening the rails to the freight cars (each rail spans nine cars) in such a way that the rails are able to shift and flex in accordance with curves along the railroad line. You Have To Give Up Sugar, But You Could Invent Its Healthy Twin!